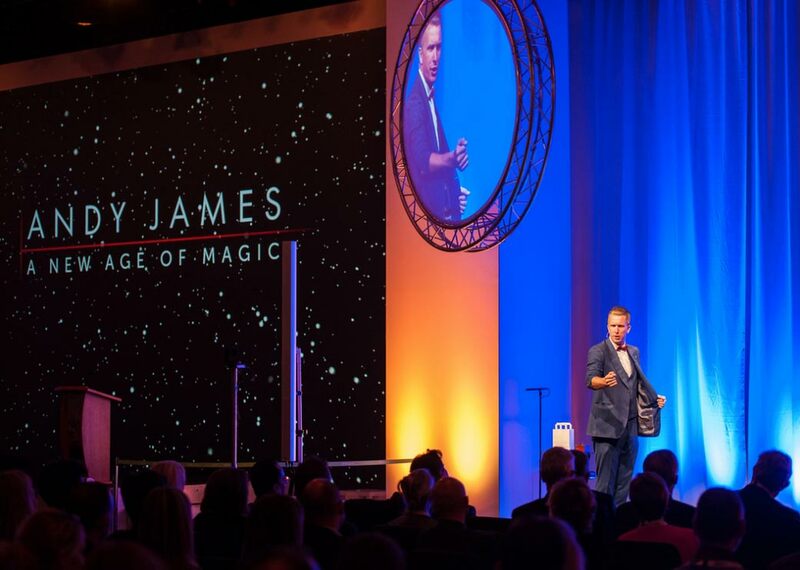 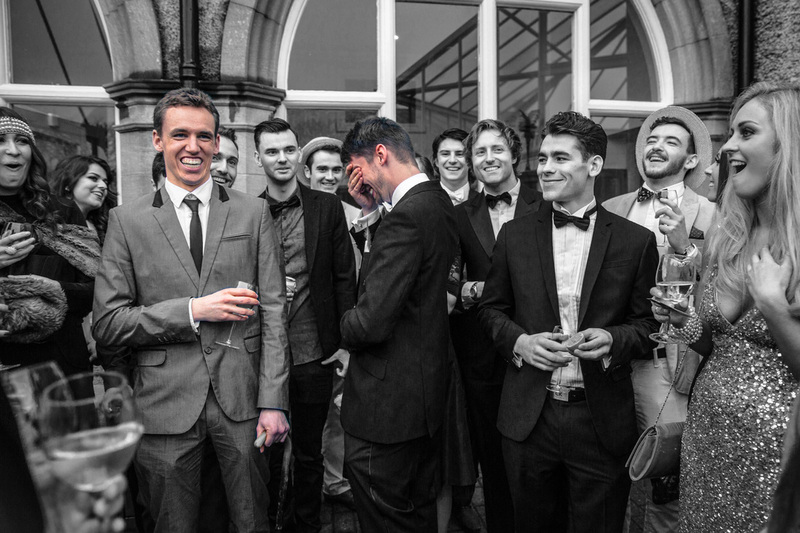 ​Whether it's Andy's unique close up magic (sleight of hand "MIX 'n MINGLE" magic), his comedy stand up magic show, or even a bespoke, custom designed illusion where the boss or product appears at the next big exhibition or trade show! 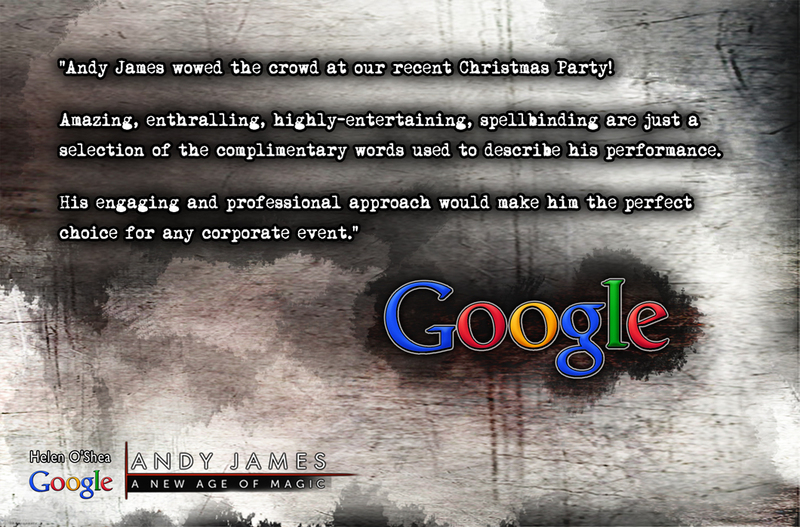 Whatever style of magic performance you require, Andy will provide a top class entertainment solution. 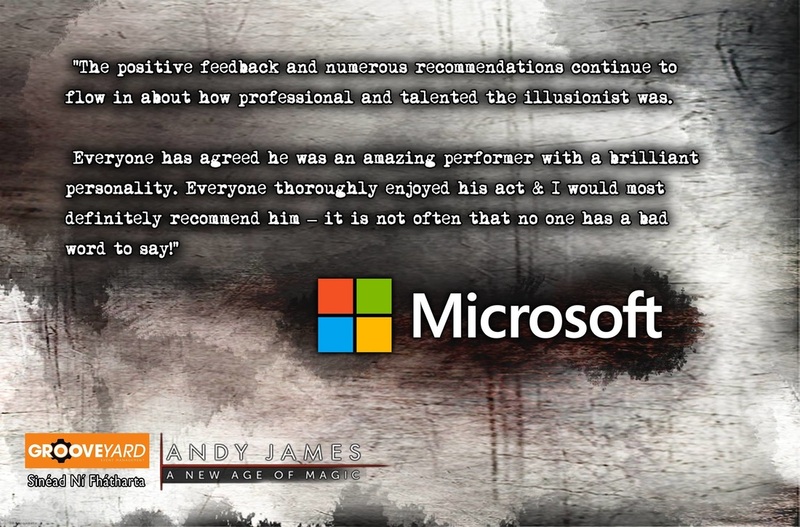 Andy understands that if you book an entertainer for a corporate event, then the quality of that entertainer reflects on yourself. 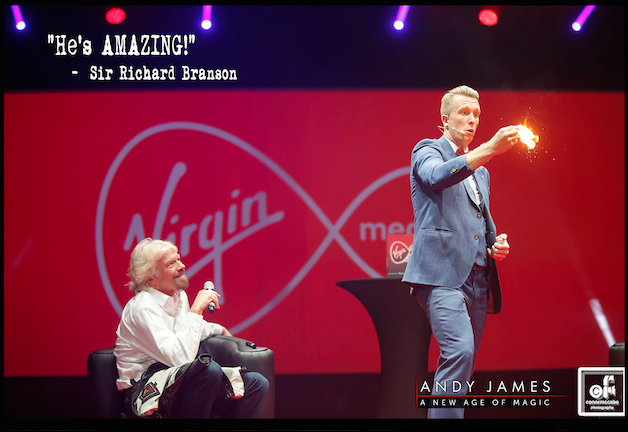 With over 15 years working at the top of his industry you can rest assured that Andy will deliver exactly what you require... & more!